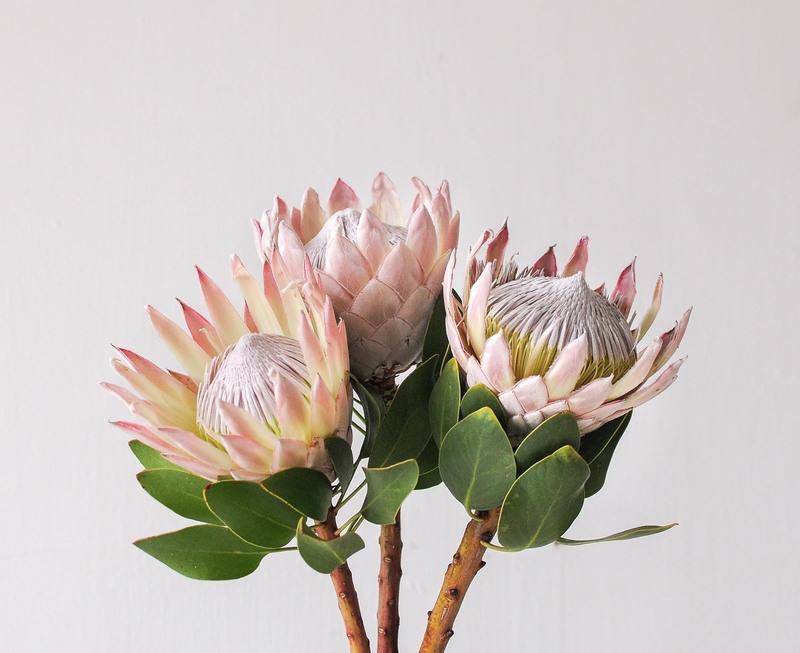 The king protea is a distinctive member of the proteaceae family with the largest flower head in the genus. 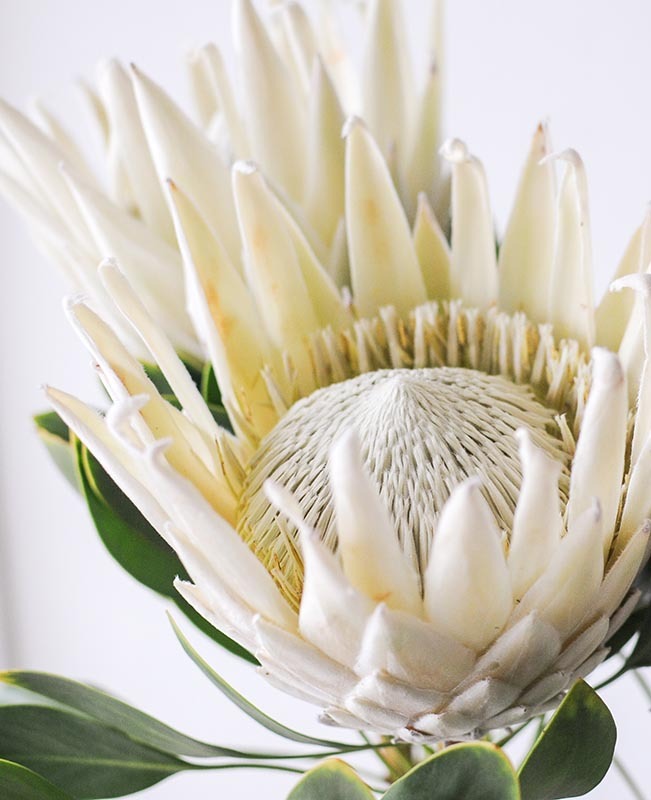 Also known as the giant protea, honeypot or sugar bush, it is the national and native flower of South Africa. 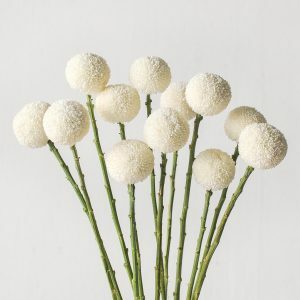 It is prized for its artichoke-like blooms and grow up to 30cm in diameter, and can be found in a creamy white to pale pink or red. 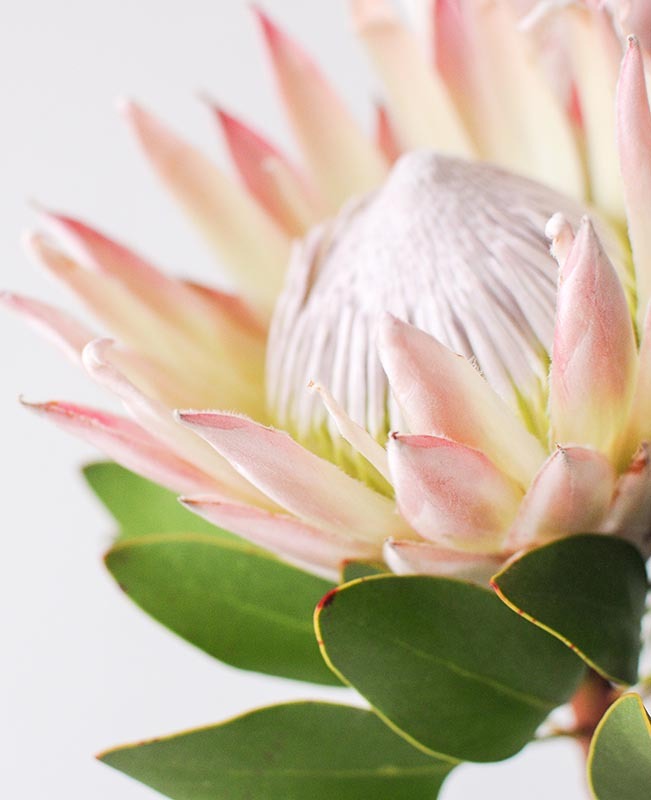 The king protea stem has multiple dormant buds and this allows the flower to survive forest fires that often occur in its natural habitat. 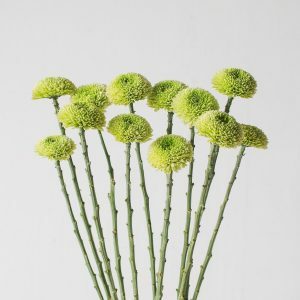 When the fire burns out, the dormant buds bloom again, ensuring its continuity. 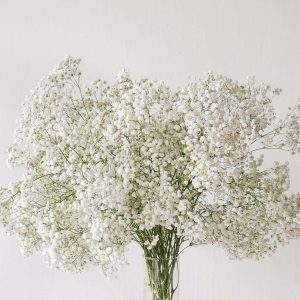 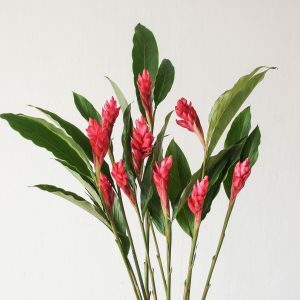 It has a vase life of up to 10 days with the basic care of changing out fresh water daily. 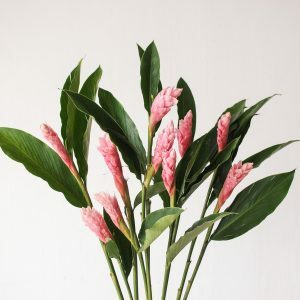 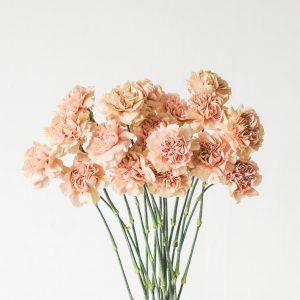 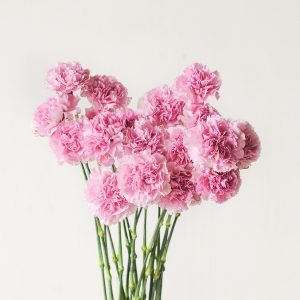 Remove leaves when they turn black so that energy can be directed to keeping the flower blooming for longer. 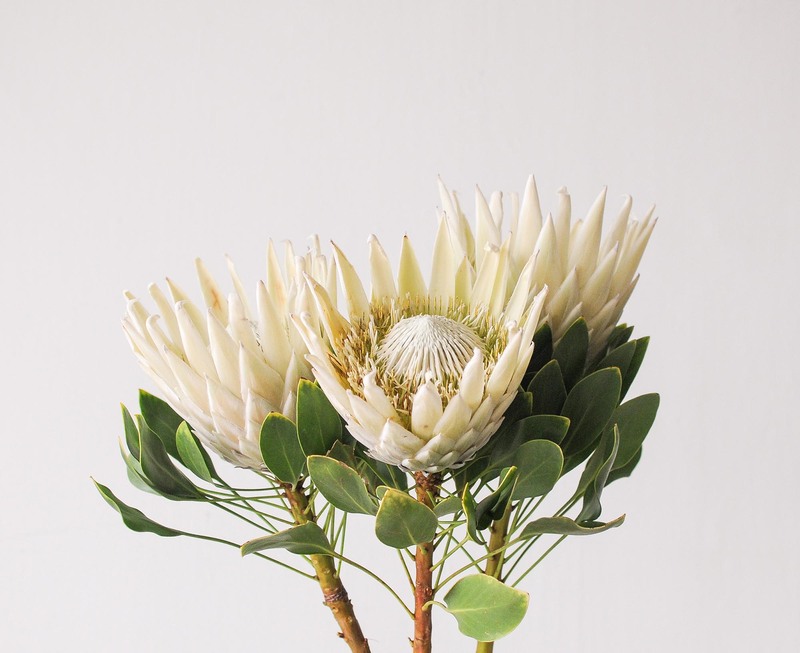 The king protea is a medium-stemmed variety, ideal for dining tables.